During this operation, Fernando Padilla, 22 years old from Perris, failed to yield to officers when they attempted to stop him for suspicion of DUI. A short vehicle pursuit was initiated. Padilla eventually stopped his vehicle and was subsequently taken into custody for DUI, evading, and driving while unlicensed. The Perris Police Department will continue to conduct DUI checkpoints and DUI saturation patrols in an ongoing effort to deter drunk/drugged driving and keep our streets safe. Please, always designate a sober driver. RANCHO MIRAGE, CALIF. — According to Sgt. David Wright of the Riverside County Sheriff’s Department, on Wednesday, August 5, 2015 at 2:31 PM, officers from the Rancho Mirage Police Department responded to a report of an injury hit-and-run traffic collision at Bob Hope Drive north of Country Club Drive in the city of Rancho Mirage. Officers arrived within one minute and learned a dark blue 2009 Ford Focus was traveling southbound on Bob Hope Drive at Dinah Shore Drive when it rear-ended a black 2014 Ford Mustang. No one was injured as a result of this collision. The driver of the Ford Focus continued southbound on Bob Hope Drive and collided with a gray 2014 Nissan Versa just north of Country Club Drive and continued southbound on Bob Hope Drive. 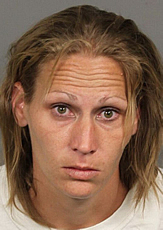 The Ford Focus became disabled just north of Highway 111 and the driver, Teresa Marie Hunter, age 31 of San Jacinto, was detained by responding officers. The occupants of the gray Nissan had minor injuries as a result of the collision and were treated and later released at a local hospital. Hunter was arrested for felony driving under the influence of and felony hit-and-run. Alcohol was determined to be a factor in these collisions. Hunter was medically cleared and later booked into the jail in the city of Indio. 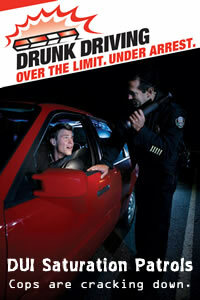 The Rancho Mirage Police Department encourages all drivers not to drink and drive. To report drunk drivers, please call 911. Anyone with any information about these incidents is urged to contact Officer T. Lloyd or Officer Miller with the Rancho Mirage Police Department at (760) 836-1600, or they can call in anonymously at (760) 341-STOP (7867). According to Sgt. John Clark of the Riverside County Sheriff’s Department, on Tuesday, August 04, 2015 at 7:37 P.M. the La Quinta Police Department responded to the area of Avenida Vallejo x Calle Madrid reference a non-injury traffic collision. A gold 1999 Cadillac driven by Patrick Wayne Williams, 47 years old of La Quinta, was traveling southbound Avenida Vallejo and struck a parked car, head on. Williams was evaluated and arrested for suspicion of driving under the influence of alcohol/ and or drugs. 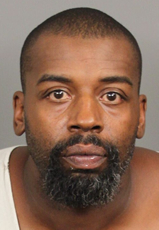 Williams was taken to a local area hospital as a precaution prior to being booked into the Riverside County jail in Indio. This entry was posted in Drunk Driving Enforcement efforts, DWI Arrests by State, DWI news articles and tagged California Highway Patrol, Coachella Police Department, Driving Under the Influence, driving while impaired, drunk driving, DUI, DUI Enforcement Team, DWI, Fernando Padilla, Fernando Padilla fled from Perris Police before DUI arrest, La Quinta Police Department, Officer T. Lloyd or Officer Miller with the Rancho Mirage Police Department, Patrick Wayne Williams DUI arrest in La Quinta, Perris Police Department, Riverside County Sheriff's Department, Sgt. David Wright of the Riverside County Sheriff's Department, standardized field sobriety tests, Teresa Marie Hunter DUI and hit and run arrest. Bookmark the permalink.